Evidently canker sores and enamel defects can be indications of celiac disease. I think I'm going to print this out and give it to my dentist. I found out that an aphthous ulcer is the same as a canker sore. It is interesting that even wikipedia mentions a possible link between celiac disease and canker sores. I used to have canker sores all the time when I was a kid. Remember that brown bottle of stuff that you'd dab on the sore with a cotton swab and it would hurt like heck and then coat it? Ouch! About five years before I was finally diagnosed with Celiac, I had a mouth full of canker sores…so bad, my entire mouth was enflamed, I could barely speak & I could only drink liquids. My dentist sent me to UCSF teaching Dental School (I was living in San Francisco at the time) . They had never seen anything like it & biopsied me for cancer. Results were negative, so they put me on steroids & sent me on my way. Years later after a move to NJ, I finally was properly diagnosed by my brand new Internist who listened, thought outside the box & had me tested for Celiac. My celiac son, who admittedly cheats on the GF diet at times, continues to have canker sores when he ingests gluten. How do we get this information into Dental Schools, no less our Medical Schools?? there is also a link between aphthous ulcers and sodium lauryl sulphate. sodium lauryl sulphate (sls) is found in many toothpastes, including gluten-free tom’s. try a toothpaste that is sls free as well as gluten free and see what happens. 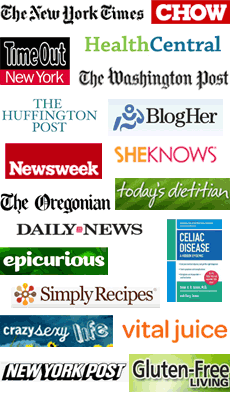 celiacs are probably more sensitive than the general population to many “safe” food additives. I too suffered terrible canker sores before being diagnosed with Celiac 6 years ago. Things are much, much better now. I tried EVERYTHING before, including avoiding SLS but that made little differnce. I recommend everyone printing this out and giving it to their dentist next visit. I found pre-diagnosis, many dentists I talked to had little idea about canker sores. Serveral thought they were the same as cold sores (and thus Herpes). UGH! I always had canker sores as a child and I can’t remember the last time I have had one after being diagnosed. I also found out that teeth get stained really easy when you have CD. I have started to use a pre-brush rinse and my dentist pays extra attention to staining now. That has all helped. I got canker sores all the time as a kid, and now as 38-year-old, my teeth have disintegrated. Dentist kept trying to “fix” – the “fixes” would break. I’ve given up until I can find a dentist who will pull them all. well as an experience canker sore is really a pain in the but hurts a lot. cannot sleep without walking up drooling in the pillow. I have had canker sores off and on for years. . . and I had no idea they could be connected to celiac. Do I ask my doctor to test for celiac? She tested for wheat allergy a few years ago, and it came up mild, but then I consulted an allergic who apparently doesn’t believe in blood tests. He told me to experiment. I have been eating gluten in the last two months, and my canker sores have exploded (from having none while I was gluten free) recently (as well as my so-called ibs going crazy.) Do I ask my primary care dr. or my allergist for celiac testing? Hope that helps! Best of health to you! Celiac can cause a multitude of dental problems including poorly formed enamel and a lifetime of dental problems.